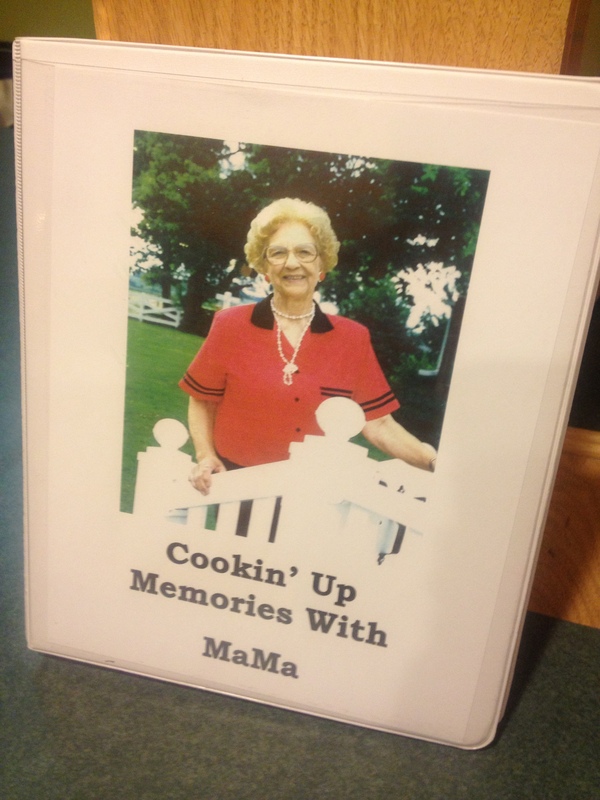 This week’s beef recipe comes from a family cookbook called “Cookin’ up Memories with Mama!” ‘Mama’ is my great grandmother, who is a young 96 years old. I could write about how this woman inspires me for longer than your attention span, so I’ll save that for another post. As we near the end of our freezer full of beef, we seem to have an abundance of cubed steaks staring at us from the bottom. 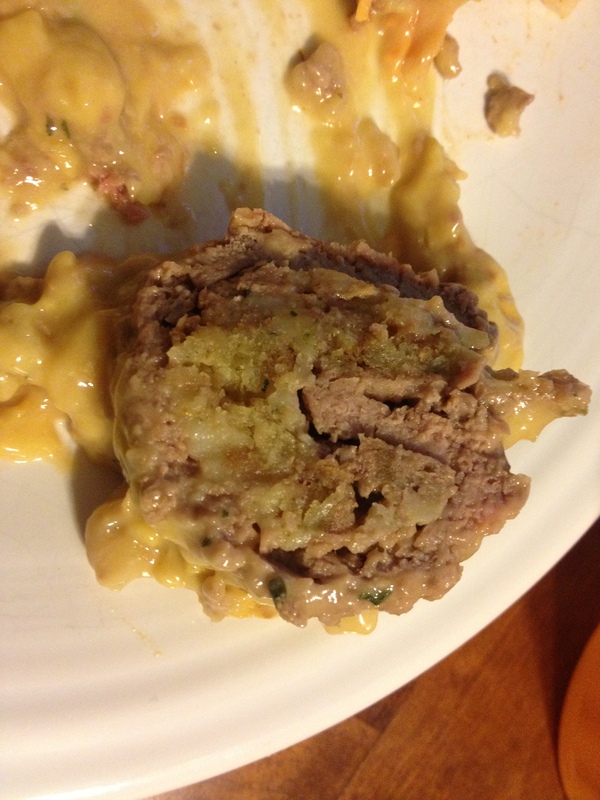 So I found this “Stuffed Minute Steaks” recipe in the “Meat’s On…” section of Mama’s cookbook, and gave it a go. It didn’t make for a pretty picture, but it was definitely a good use of those lingering minute steaks. Told you it wasn’t pretty – but SO TASTY! 1. Prepare dressing mix according to package directions. Spray a roasting pan with cooking spray. 2. Place 1/2 to 1 cup dressing mix in center of meat. Roll up and secure with a toothpick. Place in roasting pan. 3. If any dressing remains, arrange around meat rolls. Combine cans of coup with Worcestershire sauce. Pour over meat rolls. 4. Bake at 350 degrees for 45-60 minutes. SIMPLE, RIGHT? Maybe not the most lean or light in calories, but great when you’re craving comfort food and find yourself having cubed steaks to use up. It’s down-home cooking, which is what reminds us all of our grandmas, right? Enjoy! Oh, that does sound comforting. I’m going to have to try it!